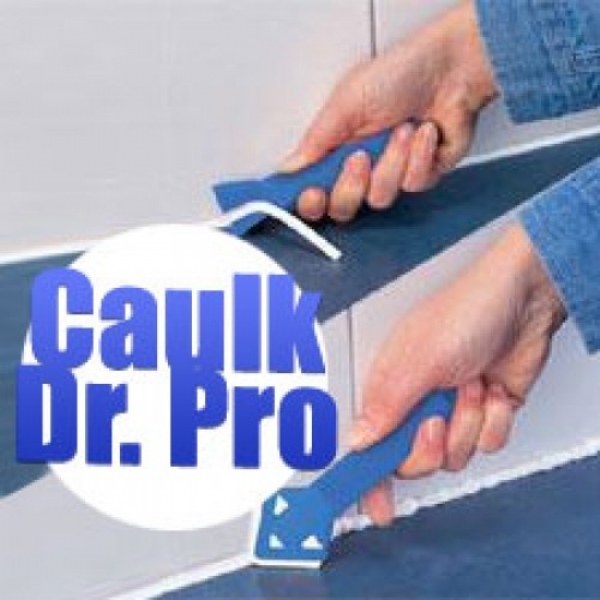 Restores old discolored caulk professionally, quickly, and easily! Caulk Dr. PRO Kit - It&apos;s finally time to replace that discolored, mildewed old caulking! This doctor has the perfect prescription for all your caulking ills! This is all you need to professionally restore the caulk around tubs, sinks, back splashes, doors, windows and more. The V-shaped Caulk Dr.PRO caulk remover tool features wings and sharp point to quickly and easily remove even the most stubborn caulk, without scratching! The pick point reaches into the tightest corners. So stop using screwdrivers and razor blades to remove old caulk. The Caulk Rite&apos;s patented design smooths out the roughest bead of caulk with unbelievable ease, forcing caulk deep into cracks for a complete seal. Run Caulk Rite along any bead and you&apos;ll transform the bumpy mess into a super smooth bead. No more messy fingers or clothes. Easy to use. Re-caulk in the bathroom or kitchen like a pro with Dap Kwik Seal Plus with microban to help deter mold and mildew.